Where Are The Best Places in the World To Play Roulette? Online roulette can be a thrilling treat, especially if you play with a live dealer. Most people, however, want to experience the thrill of playing in a real, brick-and-mortar casino at least once in their lives. If you are going to spend the time and money to play roulette in a traditional casino setting, you should really go all out to make it a once-in-a-lifetime experience. Las Vegas is home to some of the top casinos in the world, including the ARIA, Bellagio and more. Trips to Las Vegas are going to be considerably cheaper than the two options listed later in the article, though there is less to do outside of the casinos. In Las Vegas, you will likely find yourself not wanting to step outside due to the hot desert air and lack of surrounding landmarks to check out. If you are going to Las Vegas, I would suggest a shorter trip - no more than a week. An absolutely beautiful part of the world, and there is plenty of beauty to check out in the surrounding area. The downside to Monte Carlo is that it is harder to get to if you are located in North America. The upside is that you can easily spend weeks in the area and not run out of things to do. 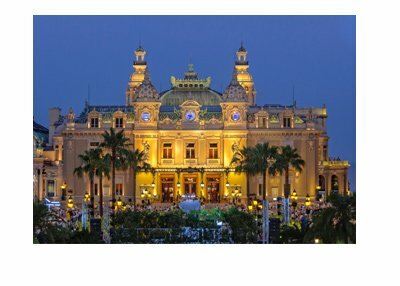 Monte Carlo is a very wealthy and safe area, so you will be much safer walking around at night compared to a location like Las Vegas. A very opulent set of casinos that are almost entirely dedicated to the comfort of their patrons. Macau likely features the best food in the world of any of the major casino locations, and the amenities are out of this world. The upsides, however, likely outweigh the downsides, as Macau is truly majestic and worth the trip. If you are a true lover of casinos, you should try to make plans to visit at least one of these cities in your lifetime. Is There Such A Thing as "Hot Numbers" in Roulette? What Are The Green Payouts in Roulette? Why Is My Country Banned From An Online Casino Site? What Are The Advantages of Playing At a Crypto Casino? Which Online Casinos Accept Paypal?